Ullisses Caruso is a Quote to Cash (QTC) and Supply Chain Specialist with over 13 years of experience in the technology industry. At IBM, he has held several positions within the Enterprise Services division specific to Shared Service activities. In his current role, Ullisses heads up strategy formulation and execution for the global Enterprise Services division within IBM. 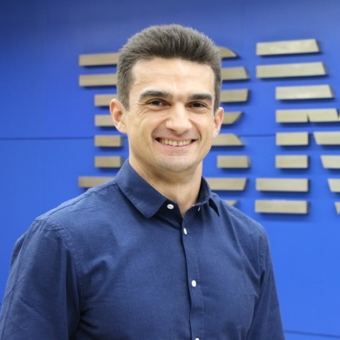 His overseas experience extended to the Philippines where he managed a large group of QTC professionals in support of IBM’s Consulting Services business unit. Among his career accomplishments were the implementation of Agile and change management in a large organization, two corporate innovation awards and a pro bono assignment in India. Ullisses has earned his bachelor degree in economics at Pontificia Universidade Catolica de Campinas and his MBA in Enterprise Management at Fundacao Getulio Vargas in Campinas. He holds a certificate of Supply Chain Advisory and Agile Champion badge. To relax, Ullisses makes time for travel, reading, working out, and family. Check out the incredible speaker line-up to see who will be joining Ullisses.